Now that's what we call a Good Morning! 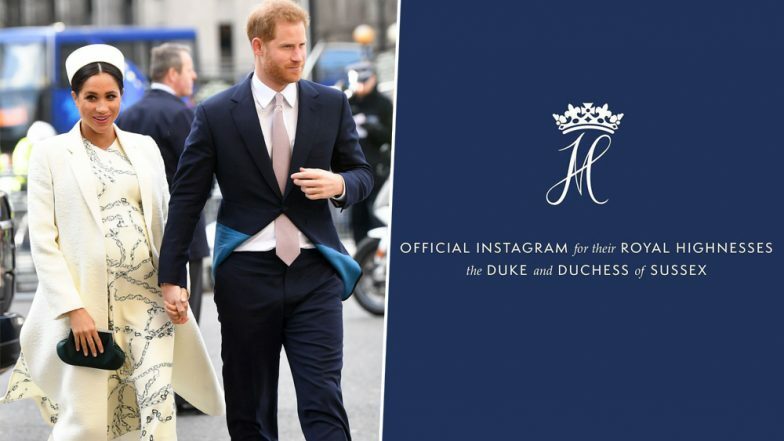 The royal family of the UK has decided to offer a new Instagram page to Duke and Duchess of Sussex, just months before the arrival of their royal baby. Meghan it seems was highly fond of this social media site and wanted to make her presence felt. And being the 'rebel' that she is, she eventually got what she demanded. Tagged under the royal name of 'Sussex Royal' the page will be dedicated to the causes they support and announcements if they have to make any. Are Meghan Markle and Prince Harry Having a Baby Girl Who Will Be Named After Princess Diana? It's a good time to register an account under their name and Meghan and Prince Harry's first baby is due in some months. The platform would be apt to share his first pictures and we can't wait to catch his first glimpse. Within 14 hours after going live, the page registered a record 2 Million followers and the number is only going to increase with time. The page is currently following 23 other pages, including the three existing Royal accounts - The Royal Family, Kensington Royal and Clarence House. What Are the Odds That Priyanka Chopra May Become the Godmother to Meghan Markle and Prince Harry's Royal Baby? However, as per a report in ABC, this move will further distance the couple from the royal palace and Kate and Prince William. The first post from their royal account is a logo than sees Prince Harry and Meghan's initials intertwined under a crown. It is followed by different pictures from their recent Australian trip and those are a delight for your eyes.